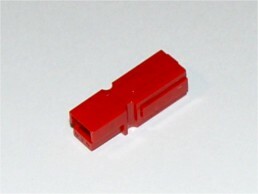 Anderson PowerPole, Red Housing, PP75. This is the second larger size of the popular powerpole family. Up to 75 Amp capacity.